After a sad departure from my internship on Thursday, it was really nice to spend a weekend in London. Even though we live here, it’s hard to feel like we’ve seen all the city has to offer with our full-time jobs. Friday night started off with a bang — after farewell drinks with my work colleagues, my friends and I met up in Shoreditch, an up-and-coming neighborhood in East London. Shoreditch is a part of the city that has become increasingly gentrified. Filled with bars and clubs, it’s a trendy area we felt we had to check out before we returned home to the states. After checking out a fun club there, we made our way over to Hoxton, another area with the same trendy feel. The club we went to there, the Hoxton Square Bar & Kitchen, was three venues all in one: a lounge, a bar and a club and was an awesome way to end the evening. My roommate and I danced on stage with a random stranger for the better part of the night and had a blast. 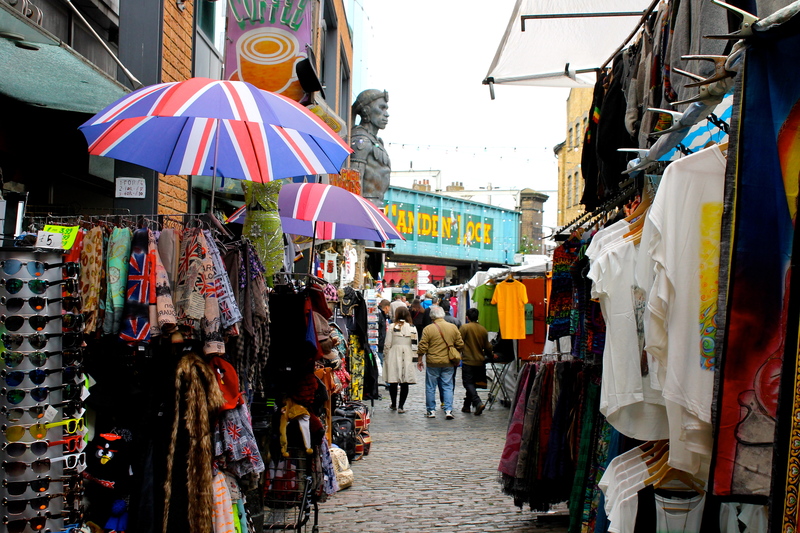 Saturday morning, we woke up and headed over to Camden Market in Camden Town. After almost a whole semester in London, we were so happy to finally be able to check out the famous market in northern London. It was absolutely packed with shoppers, merchants and Londoners just milling about. There were a bunch of different markets — Inverness Market, Horse Stables Market and Camden Lock Market, among others — that we explored for hours. Even though I didn’t buy anything, I was tempted all day; we passed hundreds of food vendors from all over the world, dozens of clothing merchants and people selling knick-knacks that could satisfy any shopper’s needs. The next day, we headed out the door at 10:30 a.m. We made our way over to Canary Wharf to catch some of the London Marathon. The six of us grabbed a pint at Smollensky’s and watched runners pass through the city’s financial district at the 18th mile marker. Next, we took the Docklands Light Railway to the O2 Arena to check out The British Music Experience. We learned about the history of British music from the 1940s onward and even recorded songs in their on-site studio (the highlight was definitely either our rendition of “Wonderwall” by Oasis or of “Stayin’ Alive” by the Bee Gees.) We saw outfits worn by David Bowie, Jimmy Page and the Spice Girls and got to look at a selection of Sir Elton John’s glasses. After a tour around the museum, we took a gondola over the River Thames to see the Olympic Park. We all love the Olympics and loved checking out the site of the 2012 summer games. After a long day of sightseeing, we went back to one of our favorite pubs, called The Mayflower. We hung out on their deck, overlooking the Thames and London’s glittering skyline before heading back to South Kensington. It seems crazy, but I think we’re ready to start our last full week abroad. I’m proud to say this is my second blog post filed while in transit. This time, I’m somewhere below the English Channel, en route to Brussels on a class trip for my political science class. I really wish the Chunnel (the Channel Tunnel) had little windows to see the water. It’s kinda eerie gliding through this tunnel knowing I’m under water but not really knowing much else. Today also marks my fourth week since landing in London, though it feels like much, much longer. This week, I’ve had the chance to explore both my neighborhood and other parts off city (not to mention the foreign city I’m headed toward now). I finally got to get my journalism on with Wednesday’s assignment to go to Canary Wharf, find and write a 1,000-word feature story. Canary Wharf is arguably London’s most transformed borough thanks to the jolt of capitalism administered by Margaret Thatcher back in the ’80s. 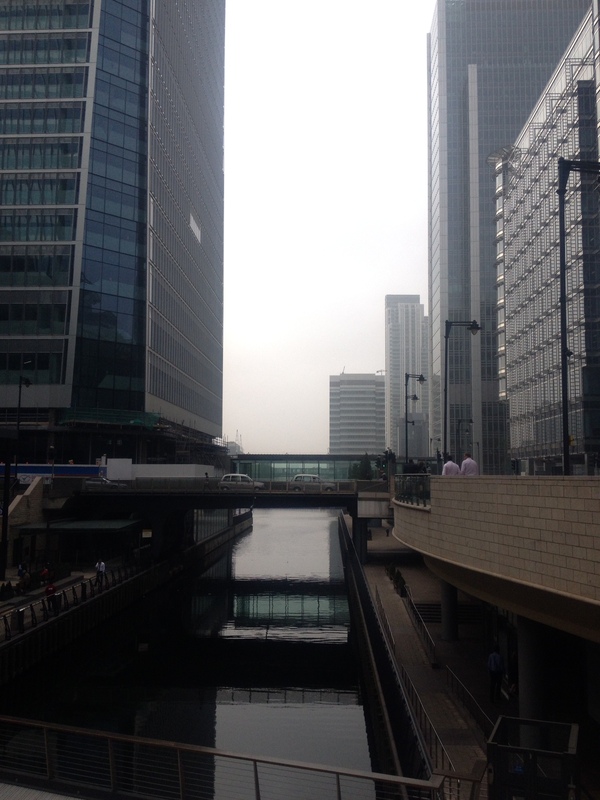 The result: a gleaming, silver archipelago of power and wealth built on London’s formerly dilapidated docklands. Now, the former isle of dogs is inhabited by a major European financial center, chock full of successful-looking men and women in expensive suits. I felt like a pauper walking among the Credit Suisse and Barclays bigwigs, but you gotta fake it ’till you make it, right? One of my favorite sights was a sand sculpture of William, Kate, and the royal baby on the West India docks. It’s now a life goal of mine to be immortalized in a sand sculpture. Back in South Ken, I found myself in Hyde Park nearly every day this week until I was felled by a nasty cough. It has been absolutely beautiful and rain-free in the capital for the last couple days and there really is no better way to enjoy the weather than with strolls around the Serpentine or jogs to the Marble Arch. See, Mom, I’m actually using my sneakers! Friday night, a couple friends and I packed a dinner and some ciders and picnicked on a hill next to Kensington Palace as the sun set. It certainly wasn’t as active as a run, but it was a heck of a lot more fun. Since then, I’ve been nursing a persistent cough that the British hilariously call a “chesty cough.” Even getting sick here is a cultural experience. In the process of buying out the cold and cough sections of Boots in the hopes of feeling better before the trip to Brussels, I can’t help but feel a little proud I’m not feeling well. Clearly I’m doing something right, because you only get sick when you’re exposed to other people. It’s like my chesty cough is proof that I’ve been out and about, getting to know this city and its inhabitants. I could be totally insane trying to justify this, but you know there’s a grain of truth in what I’m saying. Now, I’ve got an arsenal of cough medicine, lozenges and nasal spray to keep me powering through Brussels’ delicacies and sites. Here’s to hoping they do their job.